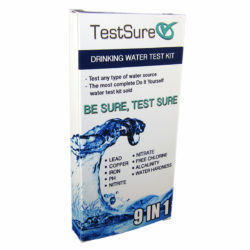 Test Sure provides a variety of water test kits for you in our store. Whether you need to monitor your pool or aquarium, or you want to do a complete water quality test on your drinking water, we provide the testing supplies to make it happen. 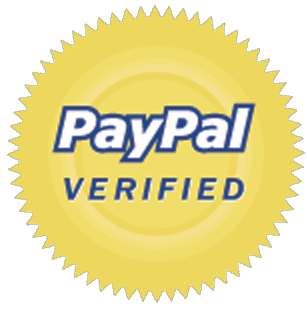 Our water test strips are the same quality used by labs and medical offices, and available for a fraction of the price. You won’t find a better value anywhere. 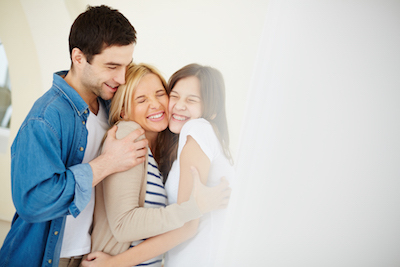 TestSure provides the most comprehensive water test kit you can buy. Our test measures 9 different parameters of water that have a direct impact on your overall health. Test for lead, iron, copper, fluoride, pH, chlorine and more! It’s as simple as dip the strip into the water and read the results. You have the right to know what’s in the water. With Test Sure, you will be able to see. 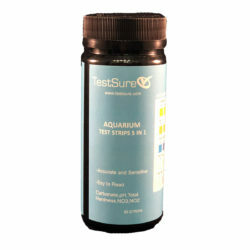 Test Sure offers a 5 in 1 aquarium test kit that allows you to measure the most critical factors of your aquarium so you can maintain a good environment for your fish. Easily monitor Nitrites, Nitrates, Carbonate, pH, and Alkalinity in your fish tank. We offer a 4 in 1 pool and spa test strips so you can regulate the chlorine levels and pH of your pool. 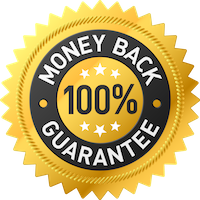 We provide detailed directions on how to maintain the best levels in your pool, so you ensure it’s clean and safe for the family.